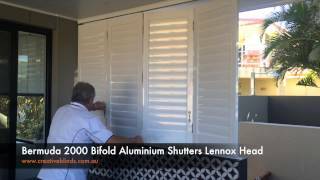 Our fashionable Aluminium Shutters are designed to give your home the ‘wow’ factor. 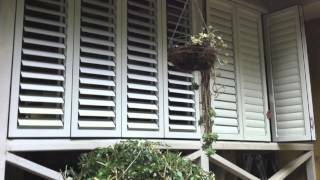 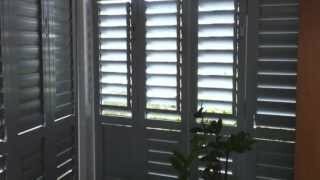 Our shutters evoke ‘plantation’ and ‘raffles’ decorating styles with their clean lines and traditional aesthetic. 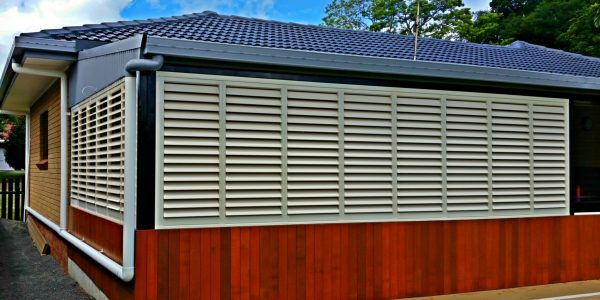 Beautiful, strong and long lasting, they come with the added advantage of being a practical and economical way to control heat, light and privacy, and will add value and style to your property. 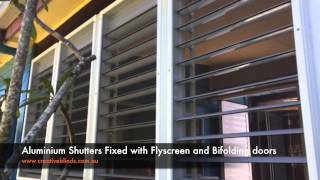 Economy of design, simplicity of construction and ease of installation help make our Aluminium Shutters a more efficient and less expensive way to solve your weather protection and climate control challenges. 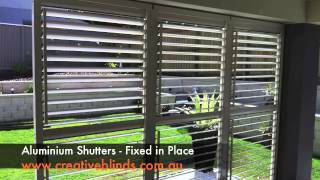 Starting from $1040 – Depending on material, accessory options and control options. 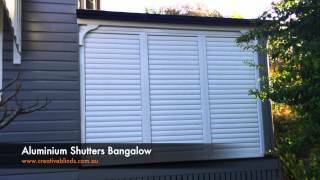 Based on size 1500mm x 1200mm. 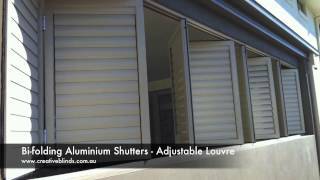 In addition to providing heat and sun protection, our Aluminium Shutters deliver insulation benefits during the winter months. 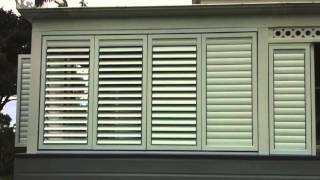 Our shutters offer complete privacy when closed, and the aerofoil shaped blades can be tilted to capture cooling breezes whilst also maintaining privacy. 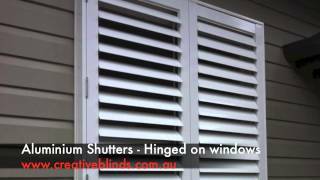 They also offer excellent light control opportunities and require minimal maintenance once installed. 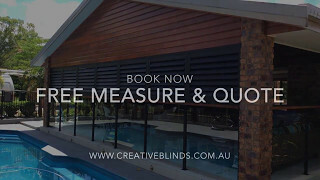 Our custom made range suits all shapes and styles of windows and doorways, and comes in a wide variety of UV resistant paint colours and stains. 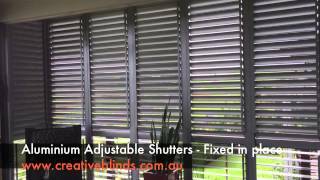 A Creative Blinds consultant can guide you through the complete range of options available.